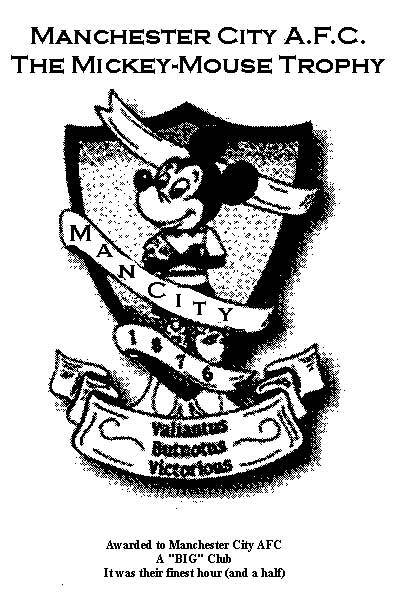 We have searched the footballing archives and unearthed the last trophy won by Manchester City F.C. After extensive renovation the trophy has been returned to its rightful place, "The Theatre of Comedy". Arthur Negus was quoted, "It is a wonderful specimen. The late Walt Disney would have been a proud man today".